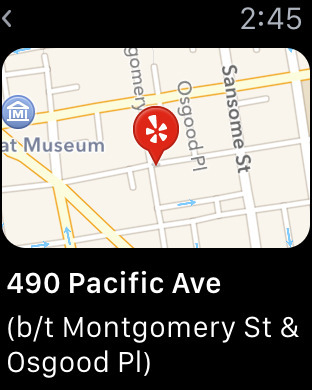 You know what's even better than having Yelp in your pocket? Having it on your wrist! 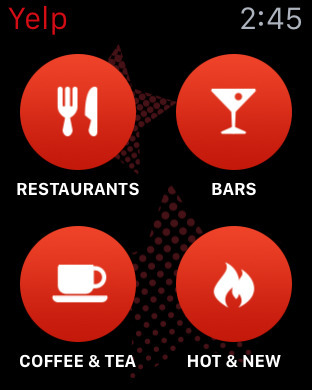 That's right, with this update we're introducing Yelp for the Apple Watch! • Look up addresses, directions, today's hours, and read authentic reviews written by a community of local experts. 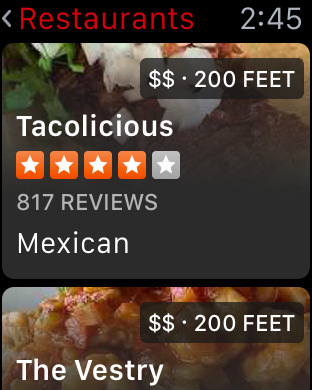 View a list of restaurants with average reviews, type of food, and pricing information. 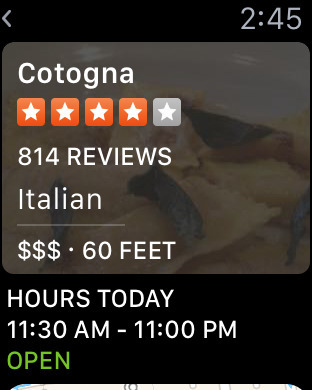 View the hours of the establishment, the type of food, average prices, average rating, and how far away the establishment is. View the address, special directions, and a map pinpointing where the establishment is located. Peruse highlights of reviews talking about the restaurant, bar, or coffee shop, so you can decide if you want to try it.